The stained-glass window "song in the sky" and a number of author's, stained glass lampshades painted by SONCEVID ™ masters in 2016. Became an accented ornament, vintage barbecue designed by DeKaDesign © in architectural form - Rotunda. 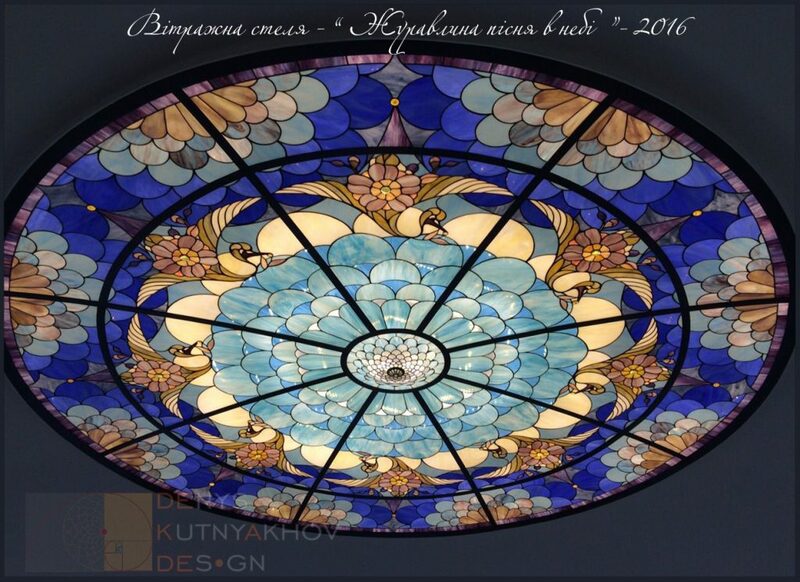 Stylistics and decorating the interior belongs to the artist of the monumental and architectural designer Denys Kutnyakhov. Опубліковано Soncevid TM 18 листопад 2017 р.
Вражає ! Аж не віриться, що то таке у нас замовляють.